With the deal between PokerStars and the Department of Justice now official, and the fate of Full Tilt Poker firmly in the hands of PokerStars, more and more details are coming to light regarding the player accounts at Full Tilt Poker and how they will be processed. In this article I’ll take a look at five new pieces of information that have come to light in recent days. Is it possible the DOJ will only refund deposits? •	Because of the rake, the amount deposited far exceeds the amount players have in their accounts. So refunding balances is far cheaper than deposits. What about players who were issued checks shortly before Black Friday that bounced? Players who received checks from Full Tilt poker in the days leading up to Black Friday but were unable to cash them will have the same chance to file a remission claim as players with balances still in their Full Tilt Poker accounts. The hope is that Full Tilt Poker’s internal auditing and accounting is sufficiently detailed to track these checks. According to Full Tilt poker lawyer Jeff Ifrah, the $150 million owed to US players and the $184 million owed to non-US players already include player bonuses, Full Tilt poker points, and other incentives Full Tilt provided. This will be very welcome news for players who felt their accumulated FTP’s would be worthless. An interesting story that broke on Monday was that the DOJ was taking applications from third-party payment processors to handle the actual repayment of US player accounts at Full Tilt poker. What this likely indicates for players is that each transaction will incur a fee to cover the cost of hiring an independent payment processor. What about the phantom funds for unprocessed eChecks? 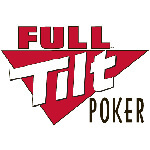 The one big question that is still up in the air is whether Full Tilt Poker’s internal accounting tracked the players who were freerolling the site by making phantom eCheck deposits at the site, and whether or not the government will be able to deny these players’ claims.